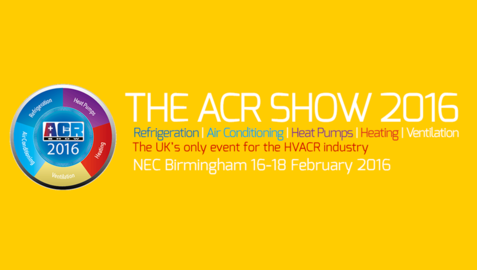 The ACR Show, the UK's only dedicated exhibition for the refrigeration, air conditioning, ventalation, heating and heat pump sectors opens its doors at the NEC, Birmingham from 16th - 18th February 2016. This biennial event will see 100+ companies exhibiting top brand products, offering live demonstrations and giving advice on affordable and efficient solutions. Leading experts will also share their knowledge and advice in each of the three main seminar theatres. 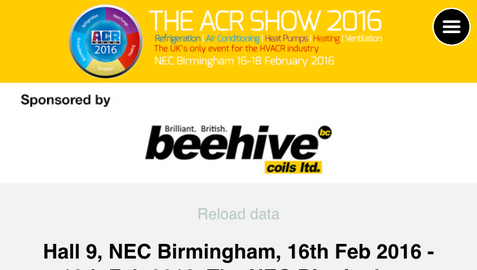 New for 2016 is The ACR Show app which, sponsored by Beehive Coils, is available to download now from Google Play and the Apple Store.